The table is constructed of solid red oak and select veneer panels. The corks are from Ports all over the world...also Merlot, Chardonnay and Cabernet. 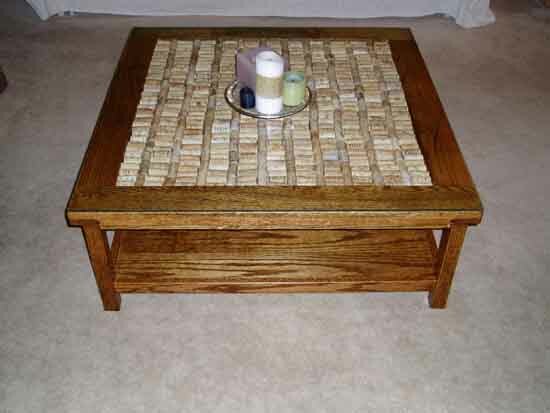 Great for board games, this table is 36" X 36" X 14" high with corks under 1/4" glass. The leg and rail joinery is traditional mortise and tenon.